On a visit to Rome, Italy, for just one day, Grandma Goldie is eager to show her grandson, Danny, all the sights. But when Danny's puppy, Cappuccino, dashes off across the piazza with some chirpy birds, their plans change in a hurry Will this peppy pair find theirplayful pup before the sun sets on their dizzy day? 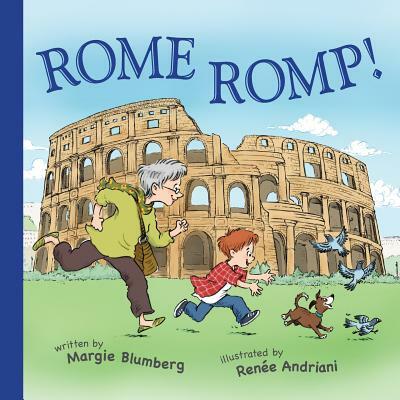 Find out in this charmingly illustrated rhyming tale about the Eternal City . . . and happy surprises.